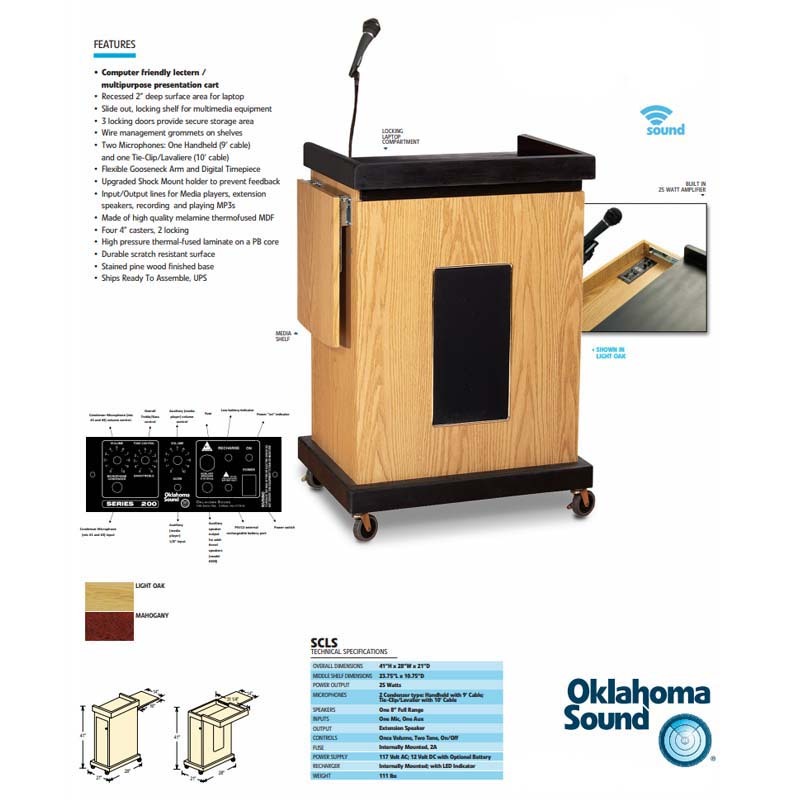 More on the Oklahoma Sound Smart Cart Lectern with Sound (Mahogany) SCL-S below. 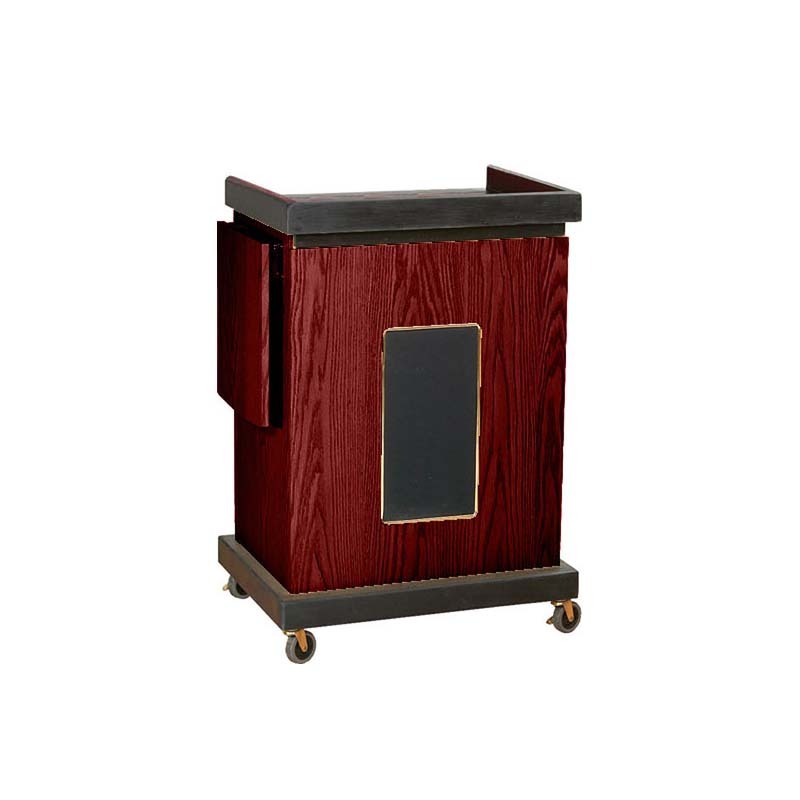 The Smart Cart Lectern with Sound is a multi-purpose audio-visual cart and sound lectern for public speaking in classroom-sized venues. It includes a 25-watt amp with an MP3-compatible 1/8 inch input jack and compatibility with OS wireless microphones. A recessed 2 inch deep surface shelf is for placement of a laptop which can be stored beneath in a securely locking slide-out storage shelf. The high-quality cabinetry is constructed from melamine thermofused medium-density fiberboard (MDF) with a stained pine wood finish base. It offers ample storage space with three locking doors protecting three inner shelves ideal for safely storing multimedia equipment, supplies, documents, etc. 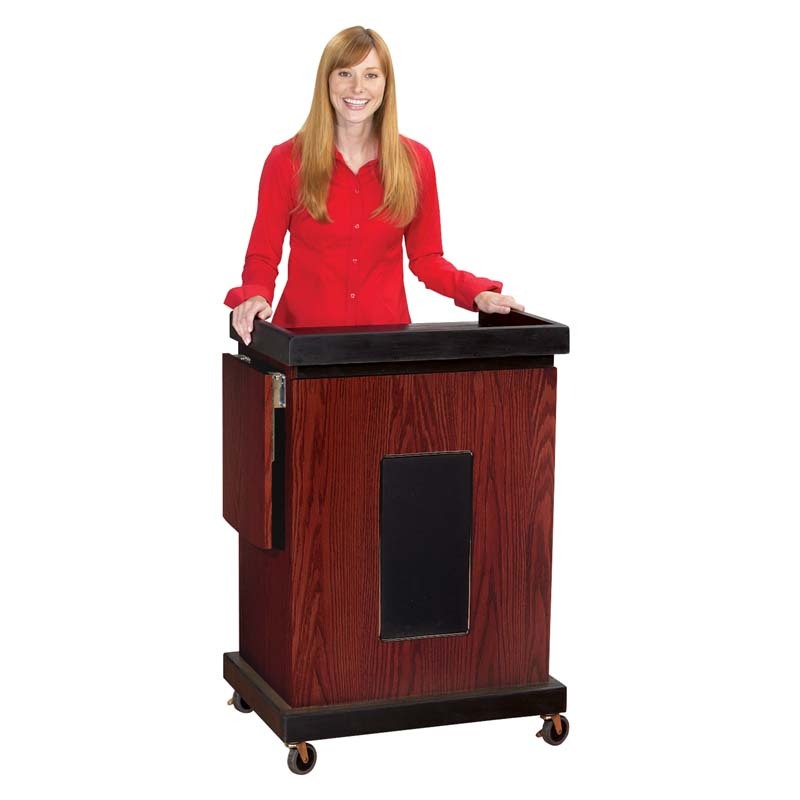 The SCLS also features a useful pop-up 14" x 16" media support shelf, internal wire management grommets for easy equipment usage, built-in power strip and four easy-roll 4 inch casters (two locking) for smooth mobility. It comes complete with a handheld mic with 9 foot cable, tie-clip/lapel mic with 10 foot cable and a gooseneck mic arm. Ships ready for easy assembly.